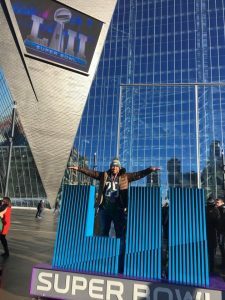 Game 55 – Warriors Have “One Of The Best Days Of Their Lives” at Super Bowl LII! 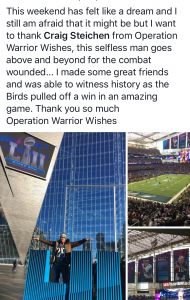 After an unforgettable week of making warrior Wishes come true during Super Bowl week in Minnesota, you would not think it could get any better… but we were just getting started! 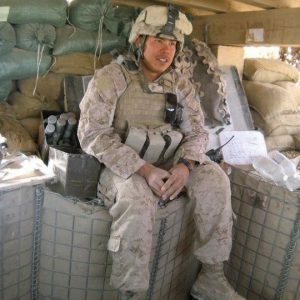 Marine Corporal Carlos Garcia was on his first deployment when he was severely injured in an improvised explosive device (IED) blast in Sangin, Afghanistan on Nov. 20, 2010. While on a foot patrol with the 3rd Battalion, 5th Marines, Cpl Garcia was in a familiar area near a canal that was frequently used by his squad when he stepped on an unidentified IED. The resulting injuries were so severe that both of his legs required amputations above the knee. 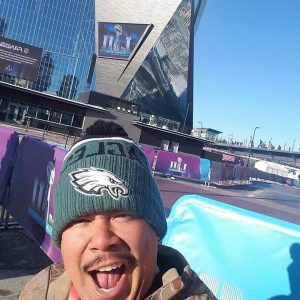 See how big of an Eagles fan Carlos is here! 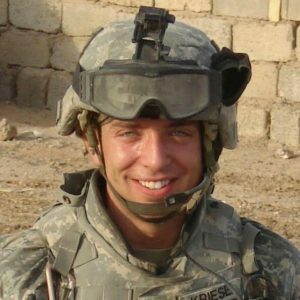 On December 2006 the vehicle Kriesel and four of his comrades were riding in encountered a 200 lb. Improvised Explosive Device (IED). 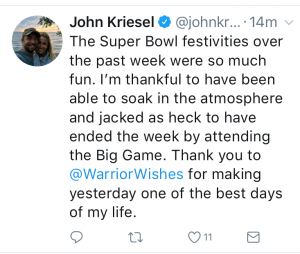 The blast killed two of Kriesel’s best friends and he was severely injured, losing both legs, suffering numerous broken bones and internal injuries. He was transported to two field hospitals in Iraq where he died three times on the operating table before doctors saved his life. 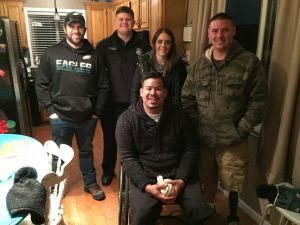 He woke up in Walter Reed Army Medical Center after an 8-day medically induced coma where he learned about the death of his two comrades and the severity of his injuries. Nine months after his near-death experience in Iraq, John returned to Minnesota to begin his new life. His transition from military to civilian life offered many challenges, humor allowed him to bounce back stronger than ever. 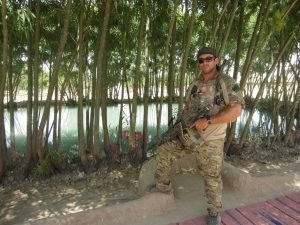 Learn More About SGT Kriesel, buy his book & get inspired here! 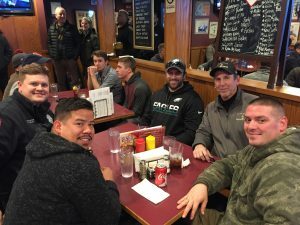 Chris Serle was a Navy SEAL on team 2 on his first deployment, when the worst thing imaginable happened. 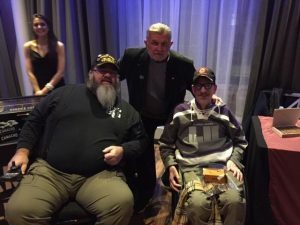 Chris’s best friend who was walking next to him stepped on an improvised explosive device (IED) and lost both of his legs- and Chris lost the vision in one of his eyes. 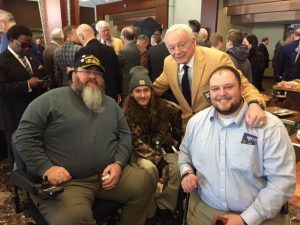 Both men were unable to continue their service in the military, and are now medically retired with Purple Hearts. Chris continued on with his education in order to continue helping people, and was just accepted into Eastern Virginia Medical School to start their program this summer to become a doctor. 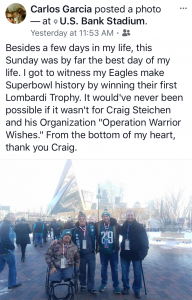 Chris has been an Eagles fan all his life & having the chance to see his team in the Super Bowl was a dream come True! Greg served two deployments in Iraq and a third in Afghanistan. On September 20, 2012, he was on a mission to recover a downed vehicle that had been struck by an improvised explosive device (IED). It was then that his own vehicle was struck by an armor piercing rocket propelled grenade. The attack left one dead and two injured. Greg lost his left leg above the knee, most of his left hand, and suffered severe PTS and TBI. 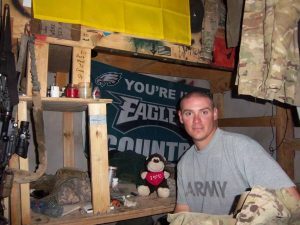 He was flown to Walter Reed National Military Medical Center where he underwent countless surgeries and years of physical therapy. 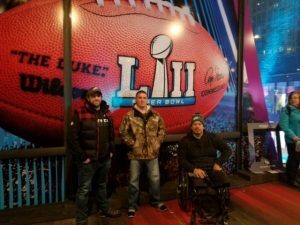 While in the hospital, Greg was visited by US Army SSG Travis Mills, an inspirational quadruple amputee who we had the honor of hosting at the Superbowl in 2014. and He believes Travis’ inspiring words marked a turning point in his own journey of recovery. 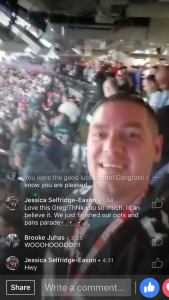 Greg has also been an Eagles fan all his life and was beyond excited to see them play in the Big Game! 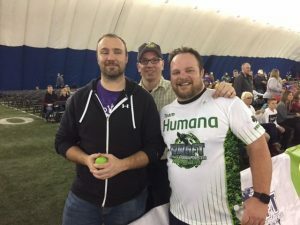 Greg & Chris were first to arrive in the “Twin Cities.” They were escorted in via private jet thanks to David, Jen and Veterans Airlift Command. Carlos arrived shortly after, however, he flew into Minneapolis airport across town. The Minneapolis Fire Dept teamed up with us to provide the warriors with transportation all weekend long! 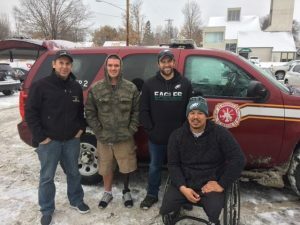 We cannot thank them enough for helping the guys get around the city. 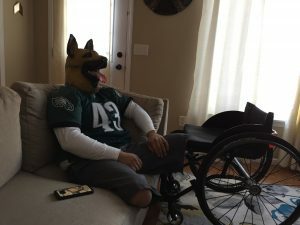 Unfortunately our original 4th guest, a Warrior from Boston who is a diehard Patriots fan, had a last minute family emergency to attend to and could not make it out to Minnesota. 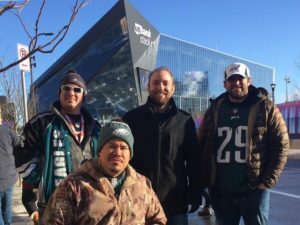 So we decided to fill his spot at last minute with local Minnesota wounded veteran, Army Sgt John Friesel. 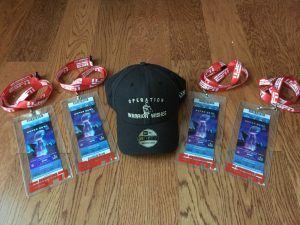 After all the warriors had arrived in town, my dad stopped to pick up the Super Bowl tickets from our friends at ESPN. Then Pierce, our Minnesota Fire Dept chauffeur suggested that they all stop to get a famous Minnesota “Jucy Lucy” before making their way to the house. For those of you who don’t know, a “Jucy Lucy” is a Burger stuffed with Cheese & other fillings. They even have one filled with peanut butter & a “Thanksgiving” burger stuffed with turkey, cranberries! It was a unique dining experience that the warriors enjoyed. Eventually the group made their way about 15 minutes outside of downtown to “check in” to the rental house. With hotel rooms fetching a minimum of $750 a night, we decided to rent a house. We got lucky & found a 3 bedroom rental for $750 per night. This gave the warriors the opportunity to hang out with each other & they each had their own room. Plus the lady we rented the house from provided them with a little welcome package full of snacks for their stay. It worked out perfectly! 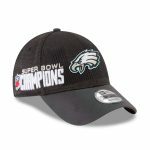 After “checking in” the guys made the decision to head back downtown to experience the Super Bowl atmosphere & festivities. 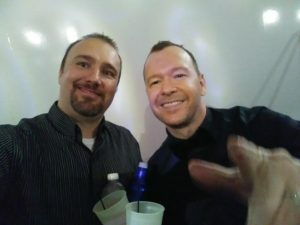 The snow & ice made it a little challenging to get around but thankfully the skyway connected many of the venues, so everyone stayed nice & warm. Eventually everyone made their way back to the house around midnight to settle in & rest up for the big game! 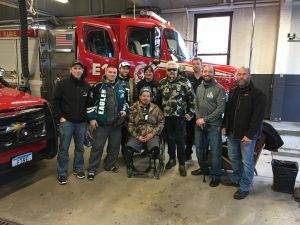 The guys met up with Army Sgt John Kriesel and Marine Mark Toppel (Warrior Wishes board member) at Fire Station 1 which was connected to the tailgate across the street from US Bank stadium. 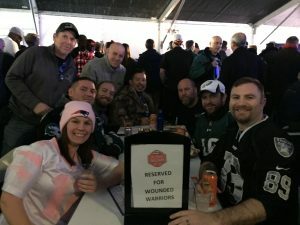 Thanks to our friends at Bullseye event group, our group was treated to a VIP tailgate experience before the big game for the 2nd straight year. This year’s event was once again filled with players & celebrities. Celebrity Chef, Guy Fieri was once again in charge of the delicious food. 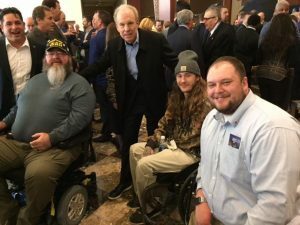 Guy made sure to stop by to thank the warriors for their service & sacrifices before the event kicked off. The tailgate was quite a bit more crowded than usual due to the fact that in all the other warm climate Super Bowls have outdoor and indoor seating areas. With temperatures in the single digits, Minnesota’s event did not have any outdoor seating… Thankfully, Bullseye provided a reserved table which made it a little easier for the warriors. 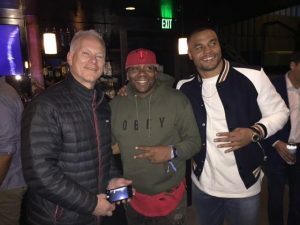 The guys collected autographs from players, and enjoyed a few hours of delicious food and drinks before making their way over to the stadium to see the Philadelphia Eagles take on the New England Patriots in Super Bowl LII! My dad & Mark escorted the warriors to the stadium to make sure they got in without any issues & hit the road back home before the game even started. 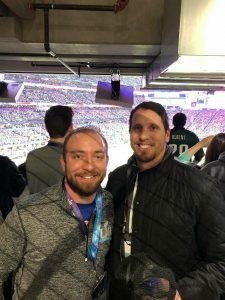 Meanwhile, the guys were inside US Bank stadium “Jacked as Heck” to experience the Super Bowl! And a great game they got! The teams exchanged field goals on their opening possessions of the game. On the Eagles 2nd possession of the game they only needed 3 plays to find the end zone to take an early lead into the 2nd quarter. The Eagles had control of the game & looked as if they were going to coast to an easy win. But late in the first half, Hsu committed 2 defensive penalties to set up he Patriots for an easy score. 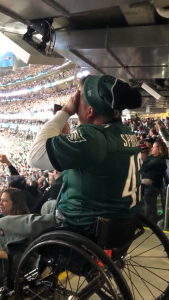 I think many people thought that was going to be the turning point of the game… but the Eagles, with just over 2 minutes left in the half, wanted to get the momentum back on their side and took just over a minute to march down the field on 7 plays and hit paydirt just before the half. My dad said it was weird not watching the big game, but he and Mark listened to the game on the radio the whole way home. He said he could only imagine how much fun the warriors were having watching the roller coaster first half. The guys enjoyed watching Justin Timberlake perform during the halftime show & were excited to see how this game would play out. They never expected the offensive explosion both teams would have in the 2nd half. The Patriots scored first, the Eagles answered. The Patriots marched down the field and scored again to cut the Eagles lead to 3. The Eagles marched down and answered again with a field goal of their own. Patriots marched and scored their 3rd TD in as many possessions and the Eagles once again answered with a TD of their own. The biggest play of the game came late in the 4th quarter. With both defenses struggling to stop the other team, the Eagles were able to strip the ball away from tom brady & recovered the fumble! The turnover set them up for a chip shot field goal to give Philadelphia a 41-33 lead & ice the game! 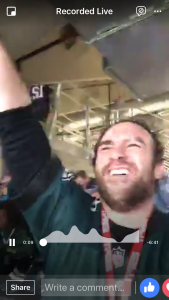 My dad arrived home to see the last play of the game & The underdog Philadelphia Eagles were world champions for the first time ever! 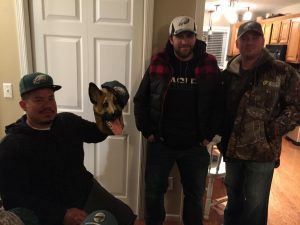 Carlos, Chris & Greg, 3 of the biggest Eagles fans we have ever met, celebrated their Victory! It’s always humbling when we hear those words. It never gets old & we are so honored & proud to have had the opportunity to provide these experiences for the brave warriors who deserve it! SEE ALL THE 2017 “ALL32IN17” HIGHLIGHTS HERE! We are so incredibly thankful to everyone all season long who helped us make each warriors experience special. Without all of you, we could not have made it all possible! And we couldn’t have made this Super Bowl experience “one of the best days of these warriors lives” without all of these amazing people & organizations! Thanks to Denise, Chris and the entire ESPN crew that has been helping make wishes come true since 2012! 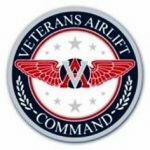 Thanks to Walt & Jen at Veterans Airlift Command for setting up private flights, as well as David, Eric and Bob who flew the warriors to Minnesota & back! 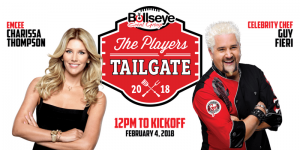 Thanks to Kyle and John at the Bullseye Event Group for providing VIP Tailgate Passes, thanks to Guy Fieri for hanging out with the guys for awhile! Thanks to Chief Fruetel, Chief Tyner and the entire Minneapolis Fire Dept for setting up transportation around town for our Super Bowl VIP guests! 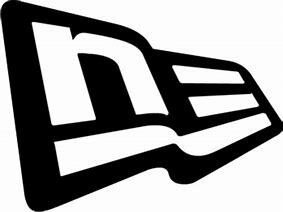 Thank you to Pierce and Shane for being the hands on guys that provided that transportation,and hung our with the guys all weekend! 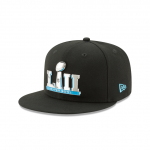 Thanks to New Era Cap for providing caps to the warriors all season long! Thanks to the kids at Clinton and Ridge View elementary Schools in IL for providing thank you cards & letters for their us to present to the warriors! 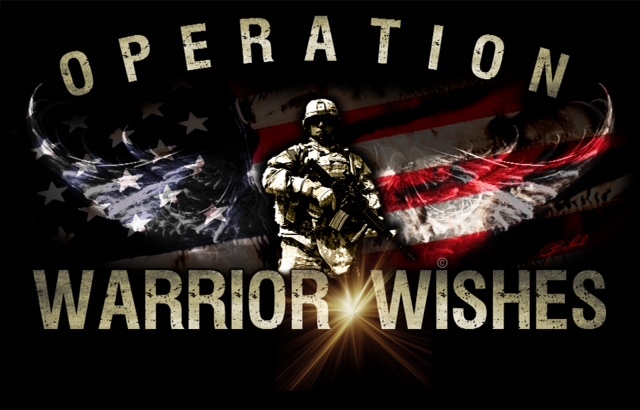 Most importantly, Operation Warrior Wishes would like to thank Army Sgt Greg Hedrick, Navy Seal Chris Serle, Army Sgt John Kriesel & Marine Carlos Garcia for your service & sacrifices to our country. It was an absolute honor to have the opportunity to give back to you & host you all at the Super Bowl! We truly hope it was everything you had hoped it would be & an experience you will never forget! My dad will be taking a few weeks off to prepare for our upcoming Battlefields to Ballfields mission. 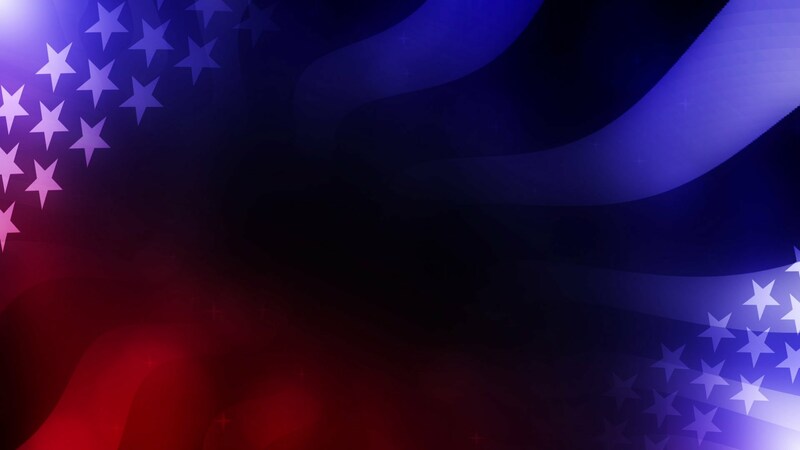 Make sure to nominate your hero today & let’s make their Warrior Wishes come true!